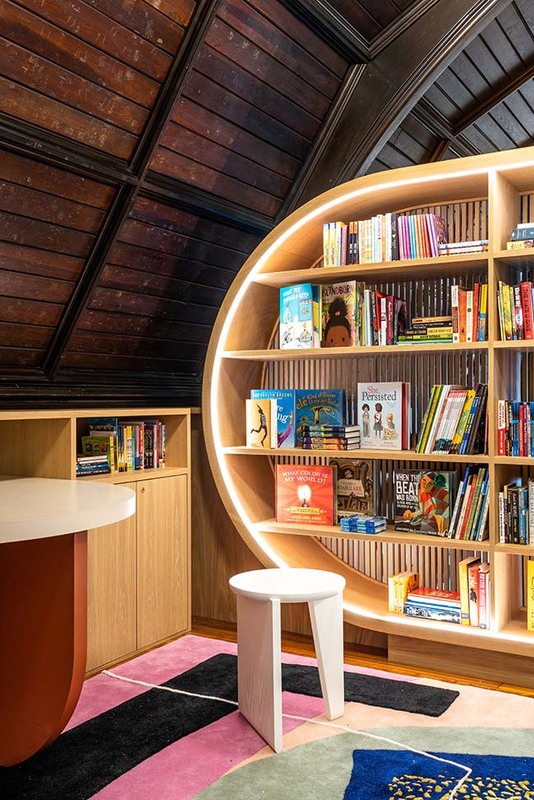 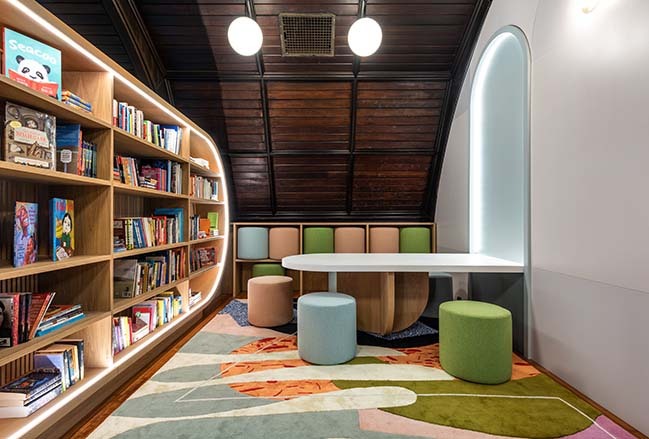 Michael K. Chen Architecture (MKCA) has designed the new Children’s Library at Concourse House: Home for Women and Their Children, a Bronx-based shelter that serves women with young children under the age of nine who are transitioning out of homelessness. 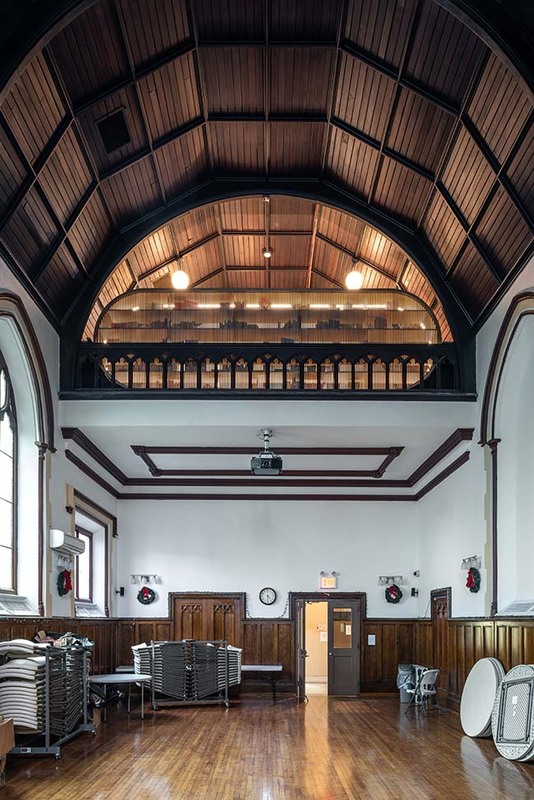 From the architect: Established in 1991, Concourse House works to eliminate homelessness by providing families with safe, stable, transitional housing, coupled with a range of social services and programming to help those families make successful transitions into permanent housing. 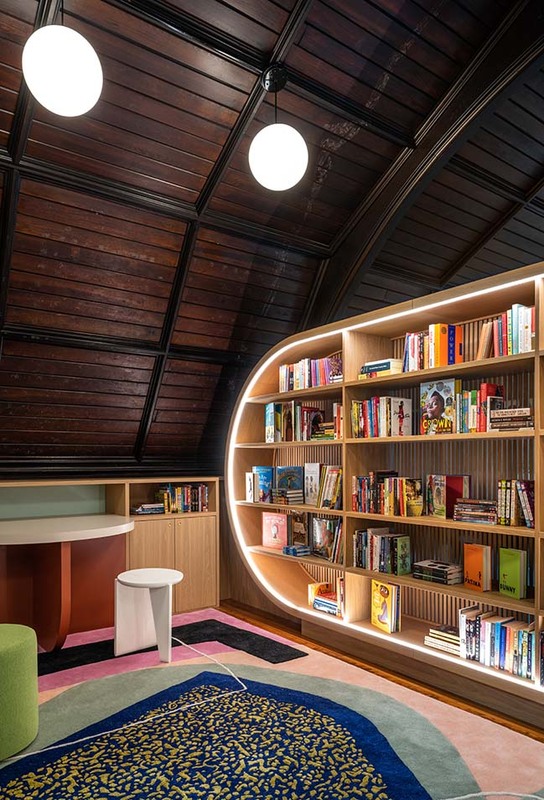 The library is an important new component of the educational resources for the children at Concourse House, and is unique among the other program spaces as a place that is specifically dedicated to books and reading, and a much needed space for volunteer and staff-led readings, story times, and other events organized around books. 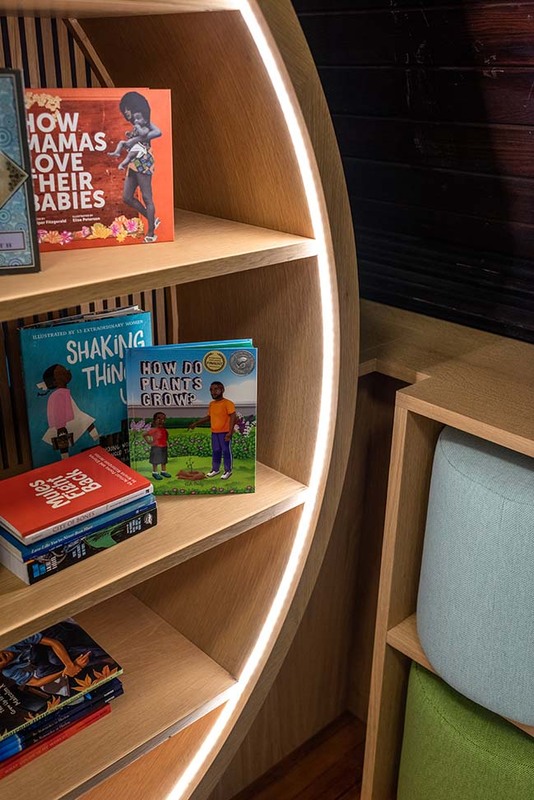 The importance of reading for the cognitive development and emotional health of children is widely recognized, and the library is designed to provide space and opportunity for exploration and imagination for children who, more often than not, do not have access to their own books. 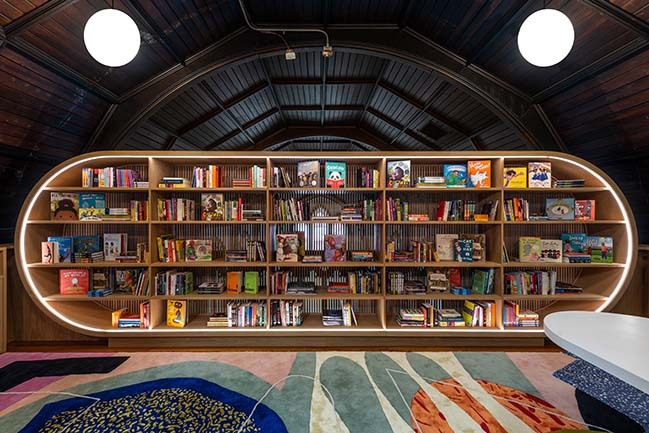 Situated in an dark and underused mezzanine space under the vaulted ceiling of the Concourse House multipurpose space, the library is designed to break from the institutional quality of the other program spaces in the building, to engage the children visually through a bright, colorful, and playful environment, and to allow for flexible transitions between individual and organized group readings and storytelling. 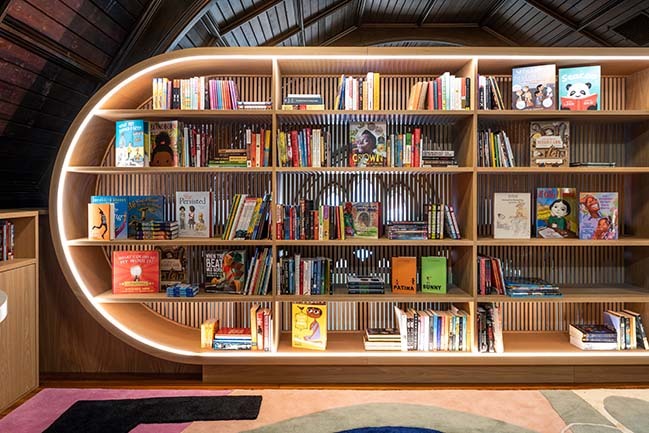 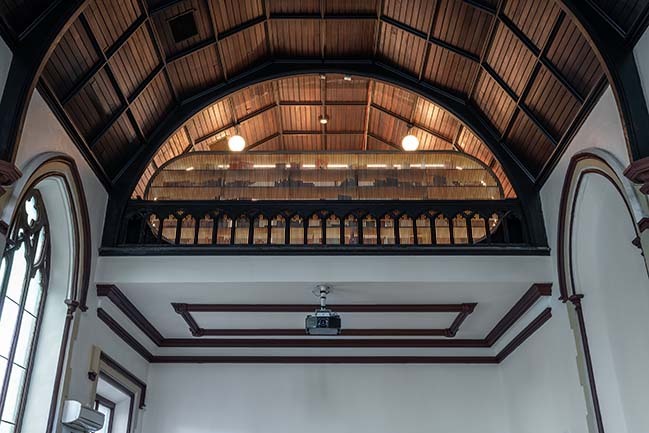 A round, illuminated shelving unit is nestled against the barrel vaulted ceiling and serves as a backdrop to the library activities and as a visually permeable protective barrier between the library and the double height space below, affording glimpses of the spaces beyond through a screen of wood dowels. 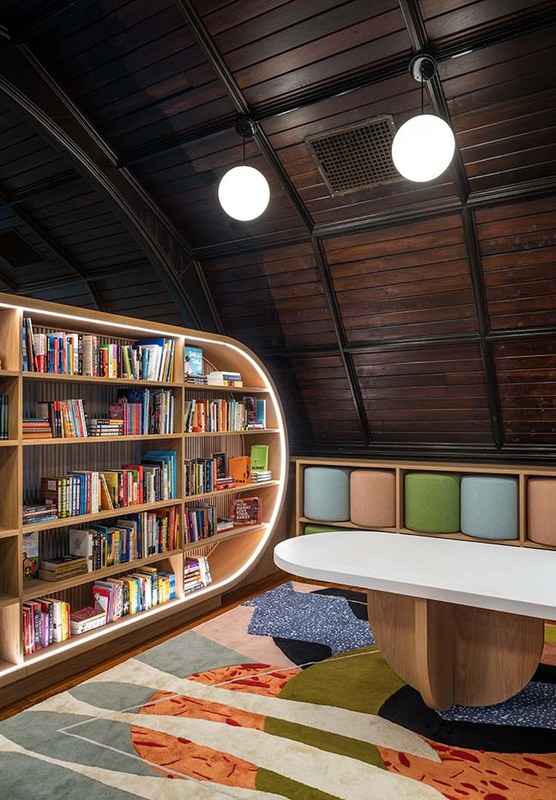 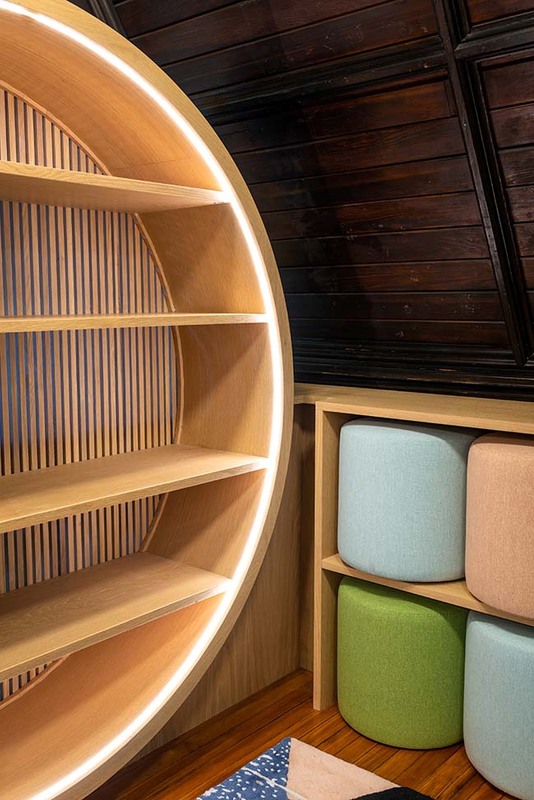 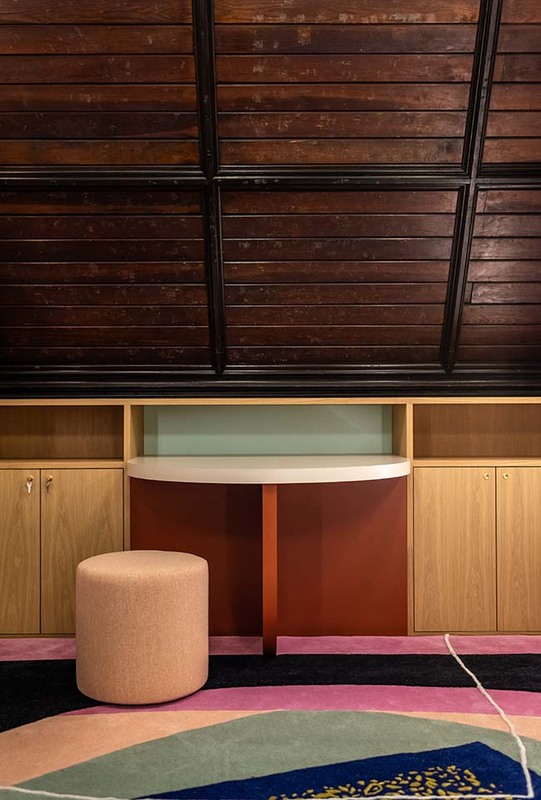 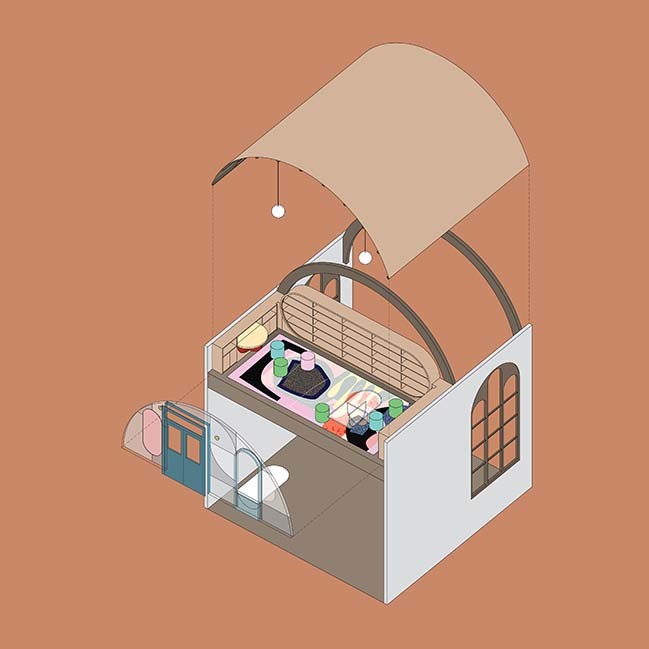 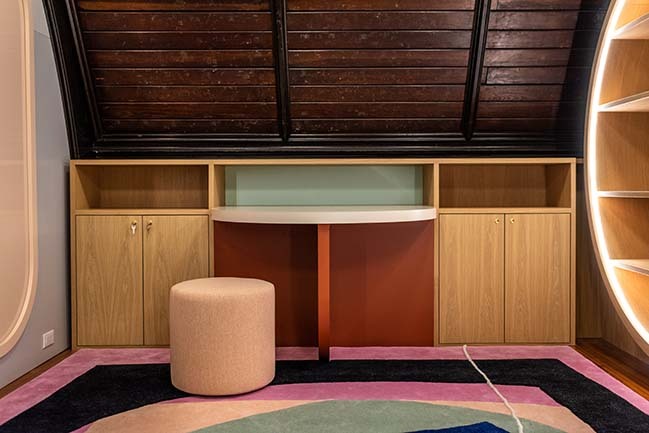 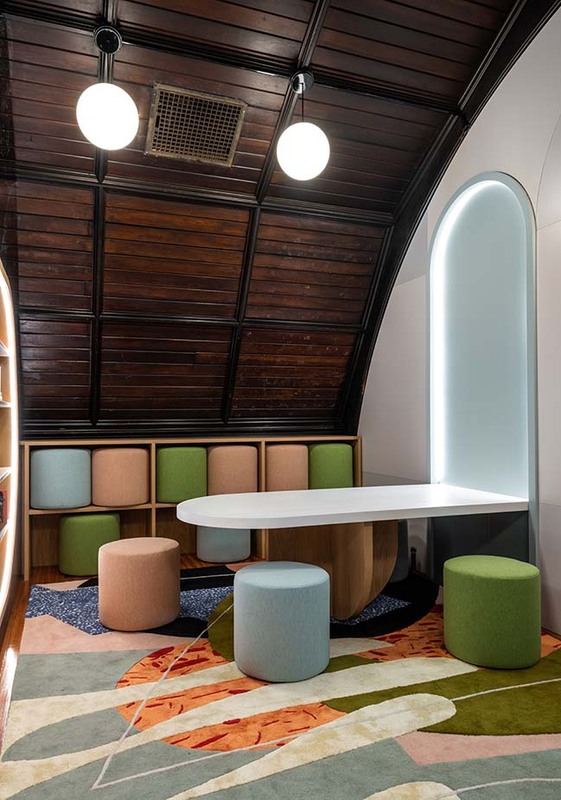 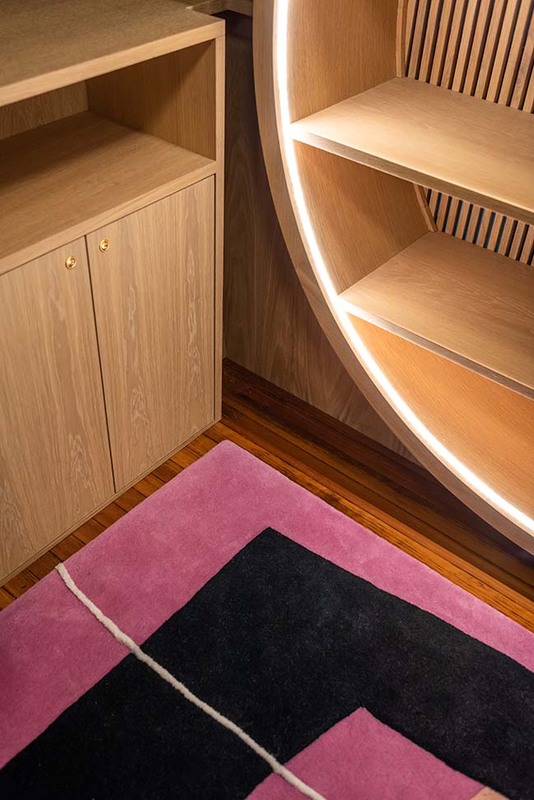 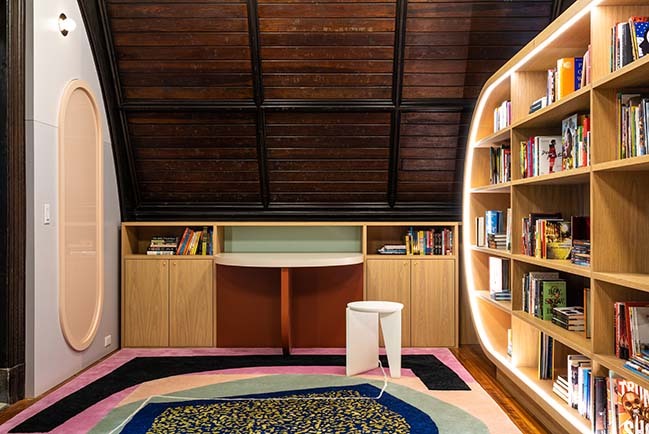 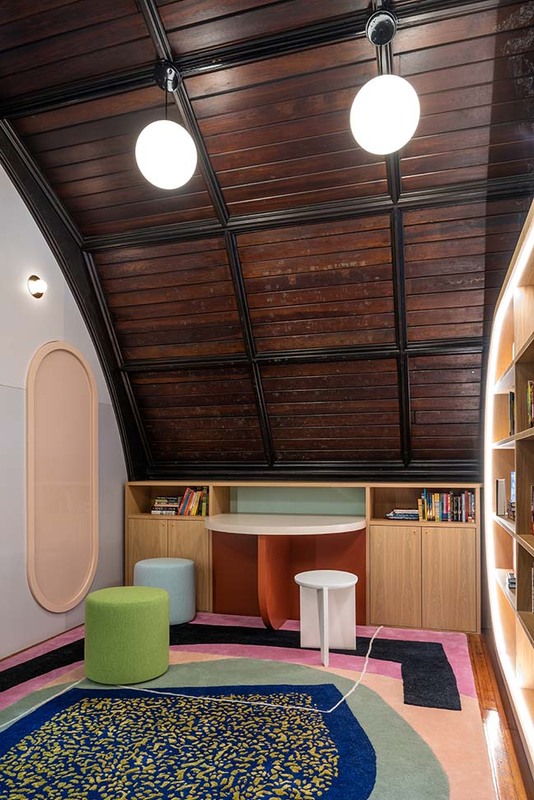 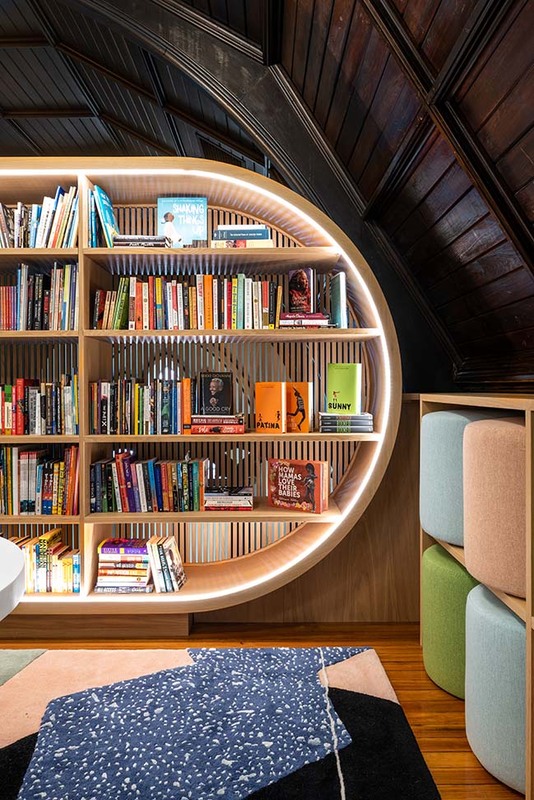 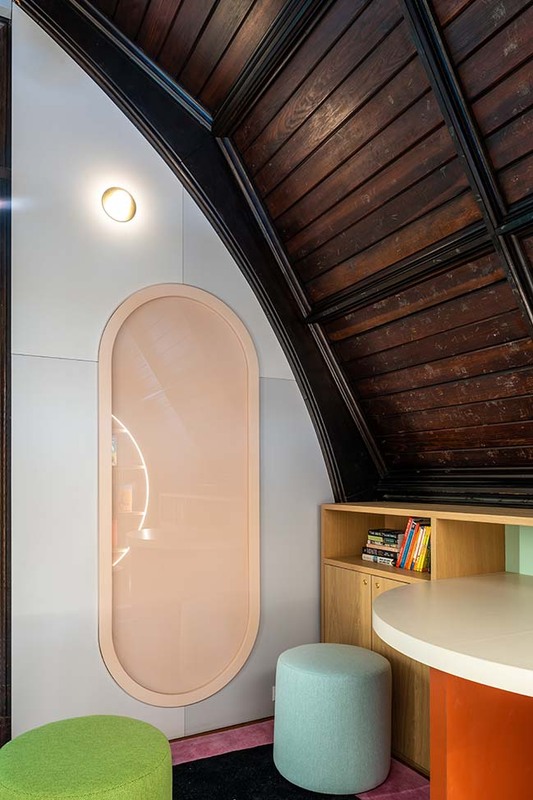 Below the vaulted ceiling, additional shelves are lined with upholstered poufs that can be brought out as seating elements, or serve as a continuous upholstered backrest when stored, allowing the children to comfortably sit on the floor. 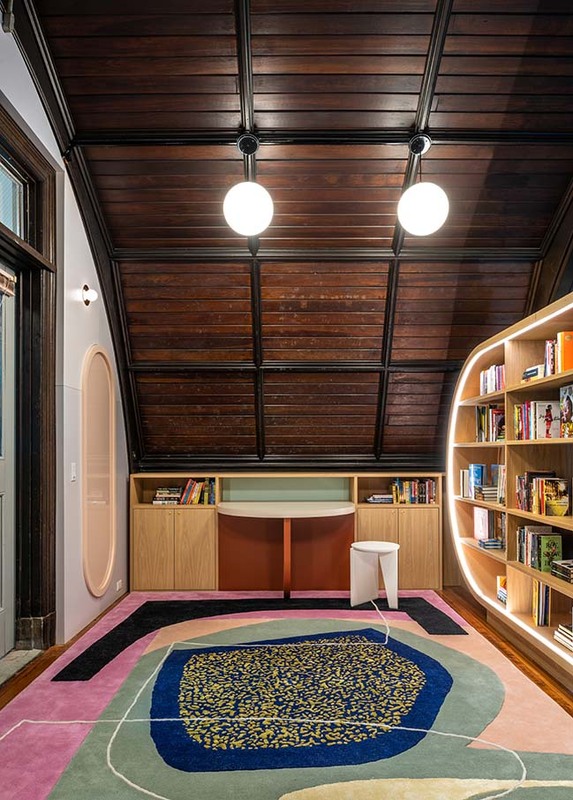 A large and colorful carpet incorporates the shapes and colors of the room into a playful soft landscape of varied colors and textures. 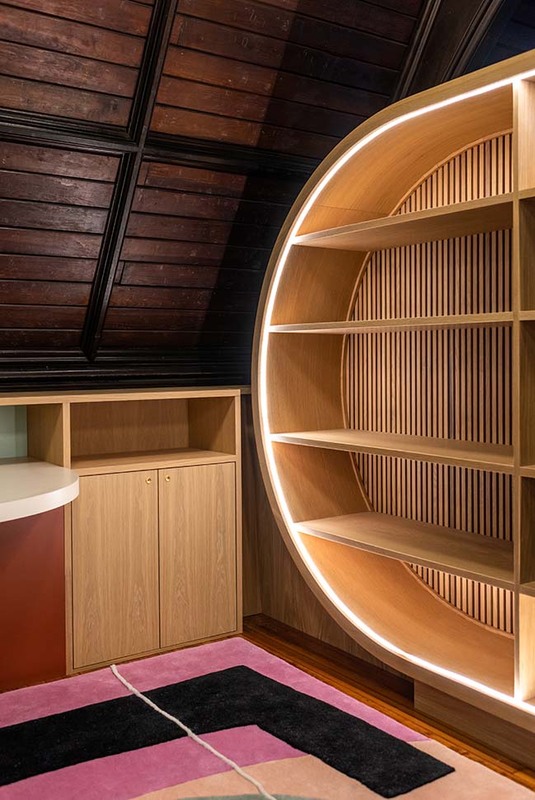 Two rounded Corian tables are integrated into the shelving and the fully paneled end wall of the library. 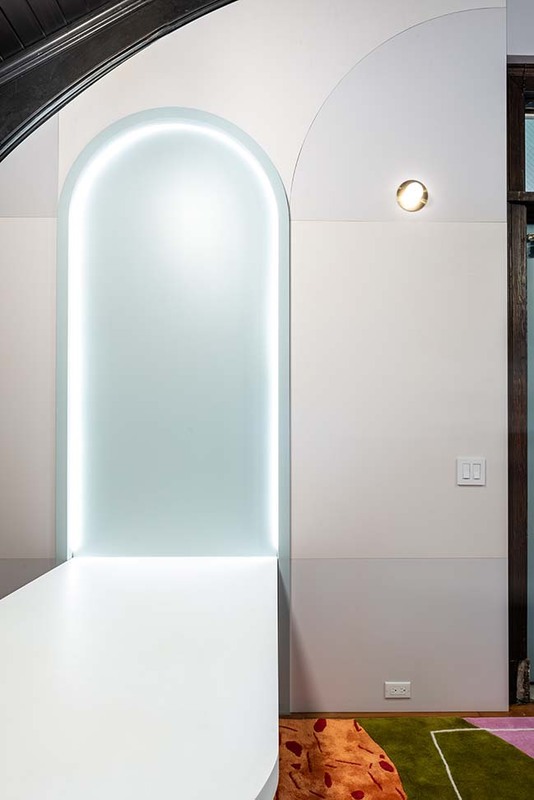 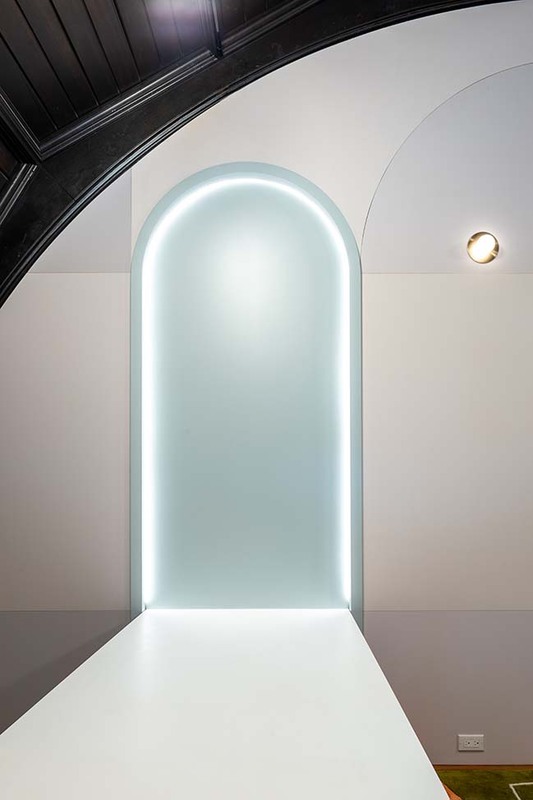 The paneling incorporates additional LED lighting, and a back-painted glass erasable writing surface. 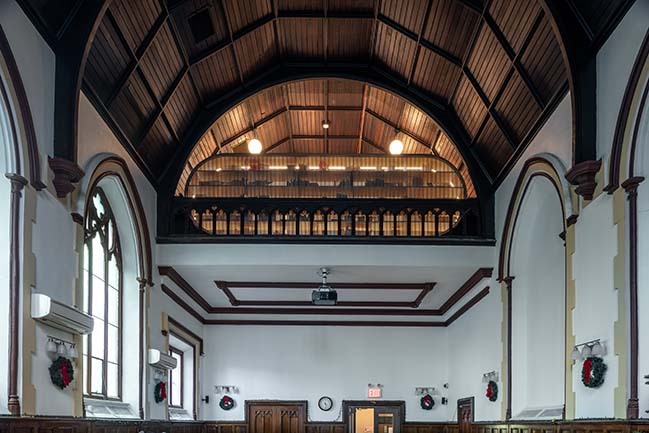 The project is made possible by Julie and Kate Yamin and numerous small donations. 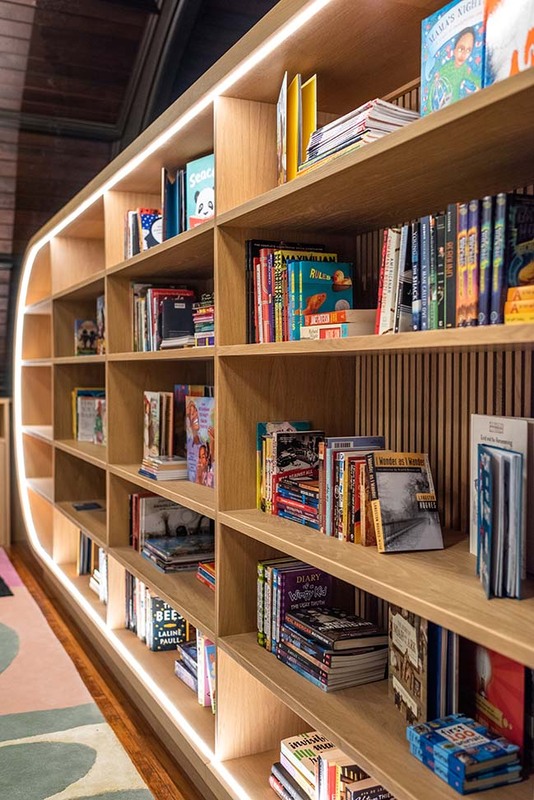 The library has been filled with 1200 children's books from Sisters Uptown Bookstore, a community resource center and bookstore in Washington Heights. 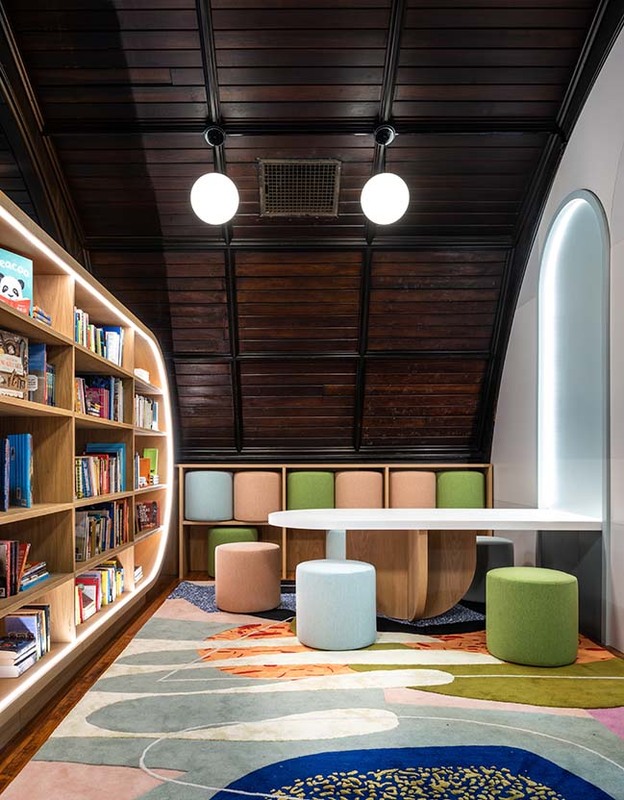 MKCA provided all design and architecture services pro-bono, and led the effort to solicit additional in-kind donations from other designers, suppliers, fabricators, and contractors in service of the project.